7.70 points at 23 votes (rank 152). At the start of the game the mother ship puts down the hunter. It is again about nothing else than a new home for humanity. After the Earth became uninhabitable due to environmental destruction, a convoy full of spaceships set out for a new planet. But on the way there dozens of hostile spaceships thwart the player. 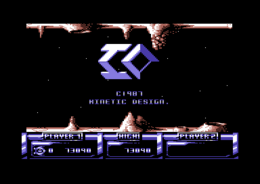 IO is a horizontally scrolling Shoot'em Up by Firebird from 1988. It might be one of many, but it is one of the better ones. You need to overcome four different levels. The appeal of IO lies in very pleasant graphics and fluent scrolling. Two players in turns can fight their way through the attacking alien waves. While player 1 flies in a blue ship, player 2 fights in a red one. The status display at the bottom also correspondingly changes its colour. Lovingly small details, as e.g. the putting down oif the player from the mother ship, top the game off. The end bosses are also inventive. If you fight your way successfully through the four levels, a successful animation of the convoy of mother ships awaits you. By touching the smart bombs you can destroy all enemies on the screen. If you shoot at the smart bombs (4x) you can get extra weapons or satellites. Satellites mean extra life at the same time. If the ship is hit while you have a satellite at your side, you will at first only lose the latter. 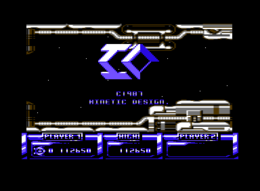 The version by "Remember" contains next to seven different cheat modes and the manual also some small fixes. H.T.W: "Ermmm... where is the highscore list?? This was my first thought after my third glider had evaporated into quarks after approx. 15 seconds of overall game time! It is a really "some" time ago that I had occupied myself with the game for the last time, but after being able to play through Katakis I thought I could get a bit further in this game without cheats. The game is simply an own league and only recommended to real joystick acrobats: But one day I will get behind the reason why certain game tests have given such good marks for this game..."
Slamy: "This game is unbelievably hard and frustrating, which can be explained by the bad design of the game mechanics. Similar to R-Type e.g. it is significantly easier to get through with one life instead of losing one in between as all the power-ups disappear by this. If you have all 5 power-ups in I.O. you run through the levels like a berserker. But if you do not have them, you can in the worst case only shoot a few times per screen and are killed relatively fast. I find the bosses of the game relatively creative and interesting, compared to those of Katakis, which are rather dull and always the same. The last level (which is the 4th) of IO compares to agony. If you have lost a life once, this quasi was it. And this is not very difficult as here it is teeming with "Cheap-Deaths". Similar to other shooters, patterns have to be remembered to win the game. But this is relatively difficult as the structures of the single levels repeat often and bore the eye. Generally speaking is this probably the worst and the most nerve-wrecking shooter that I have ever played. It prolongs artificially by the insane difficulty grade. And yes, I have ended it without cheats and yes, I regret a bit the time spent with this. I give here 2 out of 10 points. Why 2? Because the graphics is quite nice every now and then." Kuhly: "After playing this several times and having acquired the knowledge about where when which enemy appears, the game is even rather easy to play. One should just take care to get the two satellites as quickly as possible and not to die. (I know this is easier said than done ^^). Well... as I like such shooters a lot, it was not hard for me to occupy me with this for half a day. Definitely a game worth playing with nice graphics, even though a bit short with 4 levels. Therefore only 4 points from me." The game is officially named only "IO" (as the Jupiter moon). 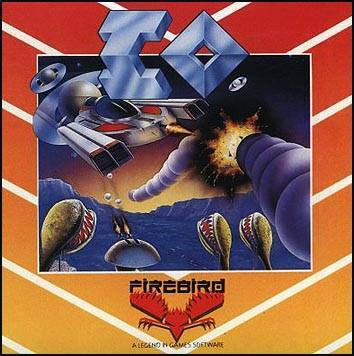 The title "Into Oblivion" can only be found on the cover of the "Prism Leisure Low-Budget Release". 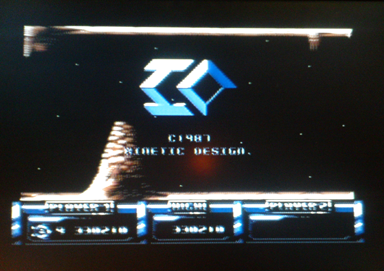 The game "Into Oblivion" on the other hand really exists as a CPC game. This page was last modified on 20 July 2017, at 12:40.